One of the most fundamental questions every IAS Academy in Chennai has answered at one point, or the other is the pattern and syllabus of the exam. 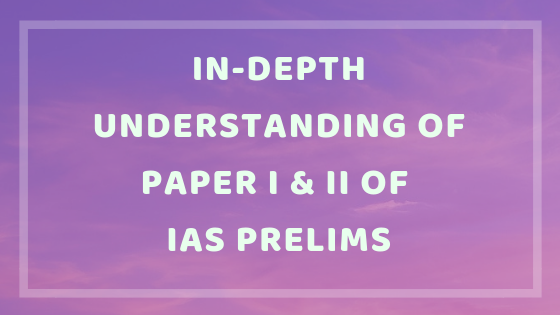 Since covering both the Mains and Prelims exam is not possible in a single article due to the vast syllabus included in both, we will tackle just the prelims here. It is to do justice to the first paper of the IAS examination that we focus only on it today. Additionally, it is seen that if a candidate is crystal clear on the syllabus and pattern of each exam, then he/she fares better. The Paper 1 of the Preliminary exam is known as General Studies. It is the deciding factor when it comes to passing or failing in the prelims. The Paper II is called the aptitude test. It is qualifying in nature, i.e., one needs to get just 66 marks out 200 to pass it. If you get more marks, they are of no use because they are not counted while making the merit list. Given below is the syllabus that is included in Paper one and Paper two. f) Indian Polity and Governance - Constitution, Political System, Panchayati Raj, Public Policy, Rights Issues, etc. g) Economic and Social Development - Sustainable Development, Poverty, Inclusion, Demographics, Social Sector initiatives, etc. Most of these topics are covered in the NCERT books. Therefore, a student can prepare well using them. We now move on to tips on cracking both papers. For paper one, it is essential to read the questions correctly and understand it because incorrectly reading the problem can lead to marking of the wrong answer. Since the paper has negative marking, it can have a detrimental effect. Leave questions you are unsure of and move on to the next. In the end, go back to the leftover questions and try to solve them again. Accuracy is essential, but speed is important too as you will get just one minute to answer every question. Cracking paper two is easier because on just has to score 66 marks. Out of this 50 can be quickly gained through comprehension. There is no negative marking in this paper. So one can attempt any question and even guess answers without fear of losing marks. For both papers, we advise taking as many mock tests as possible. Practicing again and again not only reiterates the concepts but also increases the speed of the civil service candidate.